Relax... Your life can be sunny. Find out about the Evanera crew, what we do and what we strive to achieve. See what's happening and discover about our upcoming projects. Read our latest blog posts or press releases. 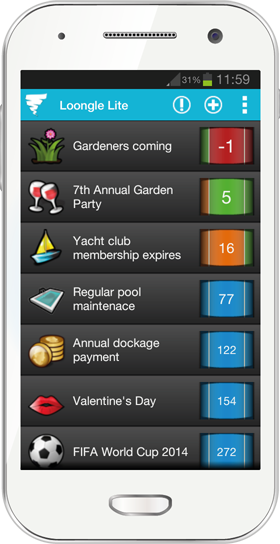 Loongle is a useful tool to manage all the things in your life that need attention once in a while. Keep track of your long-term recurring schedules and easy-to-forget deadlines in the form of simple countdown tapelines. Check out our help, FAQs and get useful tips and tricks. Watch video tutorials or get in touch with our support. Save your deadlines or long-term schedules as smart countdown tapelines. View them all sorted in a list and see what needs your attention at a glance. Have a daily reminder notify you about your approaching deadlines. 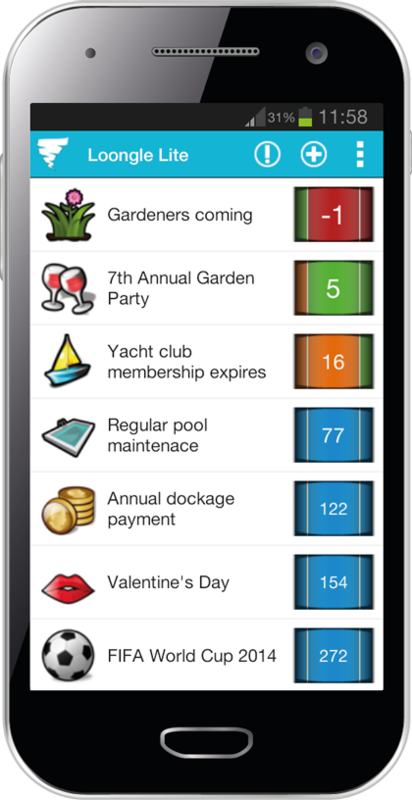 Loongle keeps an eye on your schedules and expirations and informs you at the right time. Loongle was created with a user in mind. Enjoy a clean and intuitive interface. Add a new item in just seconds and let the app take care of the rest. Like us on Facebook and become our fan! Add us to your circles and join our community! Follow us on Twitter and be the first to find out about our latest developments! Happy with our app? Rate it on Google Play!